Product prices and availability are accurate as of 2019-04-13 20:23:47 EDT and are subject to change. Any price and availability information displayed on http://www.amazon.com/ at the time of purchase will apply to the purchase of this product. 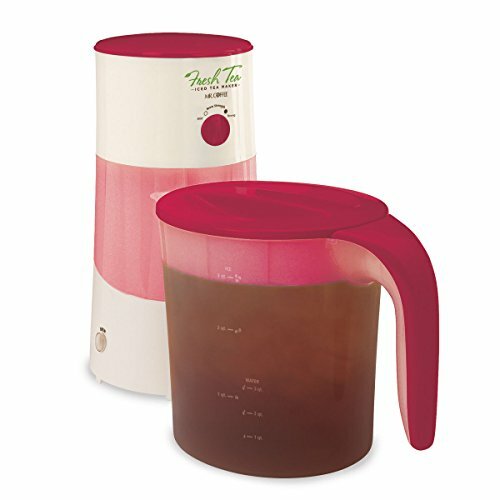 Fresh, home-made iced tea has never been easier using the Mr. Coffee® Fresh Tea Iced Tea Maker. Use tea bags or tea leaves to create refreshing iced tea drinks, whether you prefer traditional unsweetened tea or gourmetinfused flavors. Just add water, tea, ice, flavor ingredients and brew! In about 10 minutes you can be sipping your custom-brewed iced tea. Makes up to 3 quarts and automatically shuts off after cycle is complete. Skip the coffeehouse and enjoy fresh iced tea at home. Recipes included.